12 images and 12 text panels. One index sheet, signed colophon sheet, Project Description sheet. Signed Edition: 1/12 each print signed 1/12 edition. This limited edition portfolio includes twelve photographs and interviews from To Survive on This Shore: Photographs and Interviews with Transgender and Gender Nonconforming Older Adults, a collaboration between photographer Jess T. Dugan and social worker Vanessa Fabbre. Designed specifically to be used in university art museums and collections, this portfolio operates as both a ready-made exhibition and an educational tool. The portfolio was published in 2018 in an edition of twelve and was printed by Jess T. Dugan at Light Work in Syracuse, NY. Each photograph is signed, titled, and numbered verso in archival ink. The photographs are printed on Hahnemühle FineArt Photo Rag Pearl paper and the texts are printed on Canson Edition Etching Rag paper. The portfolio was designed by Rafael Soldi and comes in a custom box made at Hope Bindery and Box Company in Pawtucket, Rhode Island. Jess T. Dugan (American, b. 1986 Biloxi, MS) is an artist whose work explores issues of identity, gender, sexuality, and community. She received her MFA in Photography from Columbia College Chicago (2014), her Master of Liberal Arts in Museum Studies from Harvard University (2010), and her BFA in Photography from the Massachusetts College of Art and Design (2007). Her work has been widely exhibited at venues including the Smithsonian National Portrait Gallery, Washington, D.C.; the Museum of Fine Arts, Boston; the San Diego Museum of Art; the Aperture Foundation, New York; the Transformer Station, Cleveland; and the Museum of Contemporary Photography, Chicago. Dugan’s first monograph Every Breath We Drew was published in 2015 by Daylight Books and coincided with a solo exhibition at the Cornell Fine Arts Museum. 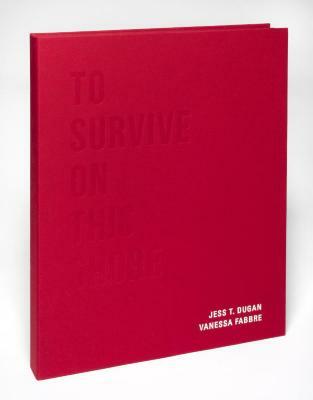 Her second monograph, To Survive on This Shore, was published in 2018 by Kehrer Verlag. Dugan is the recipient of a Pollock-Krasner Foundation Grant, an Artist Fellowship from the Regional Arts Commission of St. Louis, and was selected by the White House as a 2015 Champion of Change. In 2016, she was honored as a Commended Artist by the Smithsonian National Portrait Gallery in Washington, D.C. for her photograph Self-Portrait (Muscle Shirt), exhibited in The Outwin 2016: American Portraiture Today. In 2018, she was an artist-in-residence at Light Work at Syracuse University and was the recipient of the Women Photograph + Nikon Grant. She is represented by the Catherine Edelman Gallery in Chicago, IL.